Our last paper finally came out in Oecologia! Here is the link. 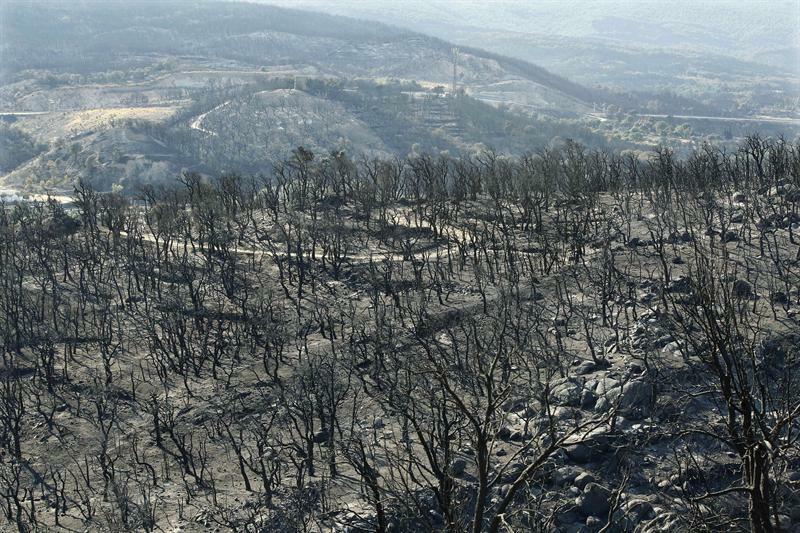 Landscape in North Catalonia after the 2012 wildfire. Changes in habitat structure constitute a major factor explaining responses of reptiles to fire. From spring 2012-2014, we investigated the relation between reptile-community metrics (species richness and abundance), fire history, habitat structure and extent of habitat types in a 1000-m buffer around each transect. We found contrasting responses among reptiles in terms of time since fire and those responses differed according to vegetation variables and habitat types. An unplanned fire in August 2012 provided the opportunity to compare reptile abundance values between pre-fire and the short term (1-2 years) after the fire. Most species exhibited a negative short-term response to the 2012 fire except the Moorish gecko Tarentola mauritanica that inhabits large rocks, as opposed to other ground-dwelling species. In the reptiles studied, contrasting responses to time since fire are consistent with the habitat-accommodation model of succession. These differences are linked to specific microhabitat preferences and suggest that functional traits can be used to predict species-specific responses to fire. This entry was posted in Ecology, Fire, Herpetology. Bookmark the permalink.